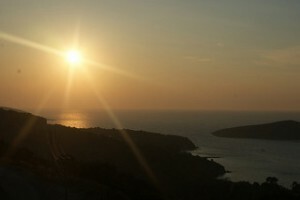 Turkey is being tipped to experience a fantastic year for tourism in 2013, with tourism experts saying that the country could welcome as many as 33 million international visitors. A record breaking figure should it materialise, it is being predicted by the Association of Turkish Travel Agencies and could in turn set a new benchmark for yearly tourism revenue, hitting the US €25bn mark for the first time. This news was made further positive after Turkey’s Ministry of Culture and Tourism predicted that the number of international tourists could regularly surpass 50 million annually over the coming decade. With highlights from the city of Istanbul which offers vast history dating back thousands of years, to the coastal regions such as Gumbet or Ölüdeniz which are blessed with glorious sunshine throughout much of the year, it is little surprise that so many people are keen to visit the country on their holidays. If you are yet to book your singles holidays this year, Turkey is a destination that promises not to disappoint.